The Flog It! experts scour St Albans for the best in antiques and collectibles. Paul Martin finds out about the history of the health farm at nearby Champneys. and lots of fascinating buildings and architecture. which has recently undergone a total refurbishment and facelift. with this massive great big Flog It! queue standing outside in front. Who knows what treasures we'll find in all those bags and boxes? they've got a lot of evidence to sift through. First into the dock is Margaret, who has called up an unusually exhibit. from far, far away from here, far more eastern. They're Russian, of course. Now, where did they come from? They came from my father's side of the family. my grandmother's uncle and he had businesses in Moscow. he always brought presents and things from there. -they were always on the sideboard with salt in them. my mother was told if we kept salt in them, it would corrode them. So she packed them away and that was it. to display them so we can enjoy them. to be in a collection with other pieces like it. that's an old, antique Russian drinking vessel. And it refers to their shape. all this wonderful enamel all over them. It's even shaded it in various colours. we've got these lovely little spoons that go with them. -Aren't they divine? They are lovely pieces. You're quite right also about not keeping salt in them. are gilded or have a glass liner. -Would they have been gilded or had a glass liner? there would have been traces of it. with a £400 fixed reserve, so we don't sell them for a penny under. who discover them through the internet. But there are specialist dealers as well. what we want is somebody to want them. and we all enjoyed them as a family. -It is. And I think there'll be a lot of interest at the sale. but I have to say I haven't seen one as detailed as this for a long time. Is needlework something that you're interested in? It is, although I can't do anything this good. Yes, I do a bit of dressmaking and that sort of thing. Where did this particular sampler come from? so I went to her house to have a look. and I'm keeping that one because I really like that one. "the work's so fine, maybe I should buy the other one as well." So I went back the following week and bought this one. Right. So how long ago was that? -So why have you brought it along today? Do you want to sell it? As you can see, it's a hunting scene, and that rankles with me a bit. That's why I want to sell it. they could be a flock of ducks or geese they're shooting at. And the landscape and the subject is worked in so much detail, isn't it? and, of course, the moth loves silk work. But this appears to have escaped the moth's munching for now. of it is that the colours have faded hugely, haven't they? Yes, they have. I can imagine it was quite vibrant when it was first done. has gone very dull brown and green. here that you can see on the gentlemen's jacket. where the colours have just bleached out onto the canvas. -"Martha Wheeler's work, aged 13." -I know. It's incredible, isn't it? a 13-year-old girl working that. That's what I like about it. but you have a little glimpse into social history. Who was Martha Wheeler and where did she live? What was she doing when she did this? So what about value, Angela? Let me ask you, if I dare, how much did you pay for it? probably anything from £50 to £100. a little bit cautious because the colours are very, very dulled. But would you be happy with that? -You're not keen on this shooting, are you? Maybe if we can get you a good price, you can buy you another one. -That's what I was thinking, yeah. -Well, we'll do our best for you. Bill, you've watched Flog It! many times, haven't you? And I can see straight away you're a fan of Flog It! You've brought in William De Morgan tiles. the dragons, the Viking boats with the slight red lustre to them. and they are so typical of the Arts and Crafts movement. So tell me the story. How did you come across them? They were found under a floor in an empty house. -Yes. I was working on it as a builder. We had to clear out the floor space. -and you were in the right place at the right time? -What have you done with them? -They've been in coffee tables. You built a coffee table and set them in it in a panel? -More than one coffee table. -More than one? What, three...? We just changed coffee table styles. So where is your coffee table now? Gone, gone. We finally bought one. Oh, I like the DIY ones best. Let's have a look at the back. Yes, look, there you go. You can just see it, "Merton Abbey". And we're looking at about 1892 to 1897.
along with William Morris, really. And you're going to see this design on a lot of fabrics as well. This one, sadly... Did you find it like this? -No, it broke some years ago. In your coffee table days? Interestingly enough, you can just make out the DM - De Morgan. I think they're absolutely divine, I really do. No, not really, only having seen your programmes recently. that everybody is fighting for. -But nevertheless they have their virtues. and it will make quite a nice panel, won't it? They're lovely, they really are lovely. A little bit of arts and crafts history. of £200 - £300 for the set. -So, shall we flog them? -You see, you've got all the practical skills. Lynn and Elizabeth, you're best friends, aren't you? We've been friends for a very long. So you know each other's tastes very well, I should imagine? Sort of, yes, we do. Who does this beautiful vase belong to? It actually belongs to my mother, who is a very old lady. -She's going to be 94.
but it wasn't given a specially prominent place. Where did your mother keep it in the house? -She kept it underneath the coffee table. you could see it when you sat on the sofa. What can you tell me about it? Do you like it, first of all? but it's not something I would have in my house, I don't think. -And do you know who manufactured it? and it's written on the back that it's Lalique. which in French I'm sure translates into this type of leaf. that are used in the 1920s and '30s. And then we've got what's called blue patination. to give it this lovely blue colour and tone. -It looks much nicer since I gave it a good wash.
because this patination may come off, with too much scrubbing. Let's have a little look at the mark on the bottom. That told you it was Lalique. We have a stencilled mark there. so we know this is pre-1945 just from that. which is super, which is probably an original one or close to it. -Isn't it just? From the '20s. and there are hundreds of people out there who would feel the same. What about value, have you any idea? I have no idea at all what it's worth. What do you think, Elizabeth? -Well, I don't think you're far off at all. although the market is very buoyant for this sort of thing. I'm going to say £300 - £500 at auction. I'd like you to have a nice surprise rather than a nasty one. and we should be able to realise that very easily, I think. -And will you be able to come to the auction? I won't be able to come to the auction. I shall be in Costa Rica. and she's quite used to auctions, aren't you? Yes, I've been to a number of auctions. So you know what happens. Great. I'm sure Elizabeth and I will keep a very careful eye on it for you. Well, what a variety of items we're seeing here today! Right now, it's time for our first visit to the saleroom. such an unusual item is not going to go unnoticed. to take a pop at Angela's little sampler. And found under the floorboards, Bill's William De Morgan's tiles. All we need to do now is find the right buyer. for Lynn's lovely Lalique vase. is a Flog It! favourite, Tring Market Auctions. who's been working this patch for well over 40 years. I love this, this is one of my favourite lots. I think it's special. Belongs to Angela. Angela paid £120 for this about six months ago. And I thought that was a fantastic buy. It's quality, isn't it? An accomplished needlecraft there. You'd be at the age of 13, if you took this up at the age of eight. Is she portraying a memory of the autumn? A shooting party. I think this is worth somewhere in the region to £300 to £400. That's what I'd like to see that for sale for. It would be nice to achieve £300 to £400. may hold it just under the £300. I hope I'm wrong. You still think around £300? I still think it could quite easily get around £300. to weave your magic on the rostrum, don't you? I'm sure Stephan will be able to charm the bidders. First under the hammer - something small that put a spell on Mark. Russian salts that belong to Margaret. who has just joined us here. I love that cross, did that come from the same place? Yes, it's lovely, isn't it? Turquoise is associated with Russia as well. The salts are fantastic quality. Pre-Revolution, of course. And the Russian market is very strong. So we should do very well with them. Let's hope they find a good home with a collector. Now we have the rather interesting Russian silver with enamel. The table salts and the spoons, lot number 531. I think we ought to be looking for £500 to £600 for them. £300 for them. Yes, £300 is bid then. £300, £320, £350 I'm bid on them. £380, are you 400 now? At £380. £400 bid, at £400, if there's no further bid. £400, we had a fixed reserve. -We've sold them, haven't we? I'd have liked £500, actually, I'd have to say. I just hope they've gone to a good home. we all think of just a handful of names. One of them is Faberge. And of course, if they were Faberge, we'd add another nought. Exactly. Nevertheless, £400, what will you put that towards? and she'd to have a very expensive operation not so very long ago. We all love our doggies. OK, it's Angela's needlework sampler. You look like a woman who really appreciates and loves her textiles. I really don't understand why you're selling this. I know it's the hunting scene. But it's so beautiful, I know you loved it. We've got £50 to £100 on this. You paid £120. You'll settle for £120, will you, quite easily? and we both thought you had a really good buy at £120. -Yes, I'd pay £120 any day of the week. I know it's a bit faded but I just think so special. It is, it's beautifully done. It's very faded though. Just think what it would have been like when it was first done. We should have kept it. But it's going under the hammer right now. Isn't that a good needlework? There it is. Typical of the period. What about £150 for it? £100. £50, £70, £80, are you 90, sir? 90 I'm bid. £90, 100 to bid. 110, I have, 120, are you 30? And 80 now? 80 is it, I'm selling, £170! No further bid, it's down for £170. Hammer's gone down. You're right, Kate. A bit of damage put them off. -Nevertheless, top end, and a bit more. Happy with that? That's quite hard to do in auctions. you still got a bit more than what you paid for it. It was a jolly good buy. I'm going to put it towards another one, but with a picture I like more. for the serious collector, something for purists. Three William De Morgan tiles. Buy two, get one free. It is bust, but we can fix that anyway. they've been a coffee table! Er... Yes and no, things change. Styles change. going out and buying any more William De Morgan tiles? still following the same principles though. Art made by man, not made by machine. -In kit form from America. Now these William De Morgan tiles. Three of them, two and two halves. How are we going on those? Are we going to say £250 for them? £200 for them. What about £100, 110, £120, are you 30? 200, 210, at 210 and you coming again, 220. 230? No, 220 and I'm going to sell them. Gentleman has them at £220. -but that's predicted, isn't it? Are you happy with that? I'm happy with that. It's settled. That's a good price, really. We've got Elizabeth, we've got Kate and we've got the Lalique vase. Unfortunately, we don't have Lynn. A place I'd love to go. I love this bit of Lalique, and so does Kate. What do you think? It's lovely, it's absolutely beautiful. She's put the reserve up to £400 so hopefully we're going to get that. I don't think that's out of the way. My £300 to £500 is conservative. It's really to encourage the buyers. But 400, bang in the middle. Let's hope somebody today picks it up for £500 plus. -That will pay for the holiday in Costa Rica. This is an interesting piece of glass, isn't it? My word, there you are, a Lalique blue tinted. I think we ought to be looking for £500, £300 are we...? Are you 50? £350 bid for it. 380 bid for it, 400.
are you 500? 520, bid for it. 550. I've got a new bidder at 550. And 600 now for you. 600.
just another one, 650, and 80 it is. Bit more. Come on, Liz. Finished? 680? I shall sell it away from you at £680! That was a good result! -Fantastic. Who's going to get on the phone, then? Did she take her mobile with her? I don't know. She'll be back tomorrow evening. and the money is going towards her mother's care. Her mother is in her 90s, and has constant care. The money's going to come in very useful. It's quality, and quality always sells. I could do with chilling out for a while. than to take time out at a health spa. in these establishments, in the pursuit of health and beauty. Nowadays, it's all about relaxing and pampering. that wanted something alternative than normal medicine, really. And Stanley's idea was to promote treating the body as one. Holistic health. Mind, body and spirit. Stanley had been an obese child with a weak heart. that led him to seek natural cures. I'm here in the games room which is pretty much how it was back in the 1920s. Nothing much has changed. Behind me there's a bronze bust of Stanley Leaf the man himself. Does it bring back many memories? Obviously it's more modernised than when I was here 50 years ago. But nevertheless it's good to bring back the nostalgia. Obviously he was a pioneer. I always thought a very nice gentleman. Basically naturopathy or nature cure is wholeness. You treat the person as a whole. There was gymnastics, there were walks he arranged. There were a lot of disciplines. Did you really have to the regime? Not so nowadays is it? No, it's a little bit more loose nowadays. "Look here I want you in bed by 9.00." Then 9.00 it had to be. -By golly you were in bed! Being afraid of Stanley wasn't the only thing that had his patients turning hot and cold. These are the famous sitz baths that we have. We have the hot and the cold water. it improves circulation and I think, on the whole they enjoy it. you're going to stimulate an area. well, then, the blood will go away from it. It's like an internal massage. It does sound like a bit of a shock treatment. Hot one minute, perspiring, and then freezing cold. It wasn't that strong. No, no, you could do it nice and gently. How much can anybody stand in that that machine? No more I would say than about 15 minutes to 20. We have three different temperature gauges on them. Do you feel faint when you come out? as long as you have shower... a cold shower and lie down. What about diet here? What did most people eat? Diet. Well, first of all, today they use this word detox. They used to put people on a fast, which is probably a similar thing. So you're detoxing. So you're resting the body. So some people just had water. Water fast only. Others maybe just fruit juices and so on. Then he would reintroduce the diet very slowly. That would be things like fruit first of all. And then he may go on to salads for two or three days. is the most important thing, which is lost today unfortunately. -wearing a dressing gown and slippers, and just relaxing. It's a wonderful thing to do. I know people check in here for two or three days. But back then, did they check in for a lot longer? They came from all over the world for his treatment, yes. I don't think I would have lasted four weeks of Stanley's treatments. from the stresses of a busy modern life. in a way that Stanley would have approved. Mark has found something that might inspire him to keep fit. -And now for some monkey business. This wonderful, little cane, tell me about it. Where did you get it from? just brought it home when he was clearing out the house. -You'd never seen it in the house, your mother in law had never shown it to you? -I wonder where she got it from? -which has this nice, wooden shaft. -Then it's set with this solid silver monkey on the top. -Which is hallmarked in London in 1887. So it's a late Victorian piece, actually, and highly collectable. People like these novelty objects. Have you ever looked at the monkey in detail? No, not till I was polishing it last night. He's very nicely made, a lot of texture in his fur, his little feet. -Nice little face with the ears, I think it's rather fun, actually. -I think it's really nice. So it's not worth anything, then. -It's been under your stairs. -And you can't wait to see the back of it. Well, I think there'll be a lot of people interested in this. I think you might be surprised. I'd like to put £100 to £150 on it. -But I hope that we might even double that. If what I've seen happening in the salerooms recently occurs. I think a lot of people will want to buy it. Because of the monkey. Because it's a bit of Victorian novelty silver. Oh, I don't hate it. I just haven't given it a thought. -Other people would be climbing trees to get it. Susan, is Troika something that you collect? No, I don't collect it. I really like it. when we went down to Cornwall in about '72, '73. So have you brought it on behalf of your mother? -so that I can travel round France and Italy. And this is going to be my fund, go towards my VW fund. -OK, so you're having a bit of a declutter? -So what do you like about this, do you like it? like the design because it reminds me of the tin mines in Cornwall. Yes, this side particularly does, doesn't it? I can see exactly what you're saying here. -This could be a mineshaft, couldn't it? This side I love it because it's so different. -It is sort of Islamic-y, isn't it? -It looks like an Islamic mosque. -incorporated into this very Celtic motif. With four leaves, a quatrefoil motif. and it depends on my mood which side I have. -Oh, that's interesting. That's a nice way to look at it. Well, I think the glazes aren't that unusual. or have a very strong contrast in glazes and design. as a wheel vase because of the shape of it and it's a medium size. What is it about eight inches? There's a set estimate price which these pieces go for. I thought about the 200 mark. -if two collectors went for this it would make 200 plus. -and it would certainly get them interested. -Well, I wish you luck with your camper van fund. We love boxes on this show. -Shall I open it and show everybody what it is. There it is a lovely little bar brooch. What's the history of it? It was left to me in the 1960s by an elderly aunt. I've never worn it. to see it shut away and I thought, "No, it's going to go on Flog It!" So you've had it for quite a long time, 40 odd years? -And you've never worn it. -they're not always the most fashionable thing to wear. -with a floret in the middle of rose cut diamonds. -of platinum and little platinum rims around the diamonds. The reason is that diamonds draw in colour from what's around them. So if you mount them in a yellow metal, they'll look slightly yellow. -So this is actually quite a nice little piece. or have you had it valued? -..which it didn't quite make. So, I'm just looking sort of maybe it might fetch that. We don't know. We hope so. The buyers on the day will decide what it's worth. -with a 300 fixed reserve. -To give it a go. for the British Heart Foundation and I'd like to contribute to that. I look forward to seeing you at the auction and thank you so much. Let's take a last look before our items head off to the auction rooms at Tring. he thinks Barbara's cane will walk straight out of the auction. but the rarity of the pattern should help Susan's vase. Let's hope the rose cut diamond brooch sparkles on the day. The money is going to charity and Gill's new grandson. This should walk out the saleroom, shouldn't it? The walking stick! Remember it's got the little silver monkey on its head. We're looking at £100 to £150. -Who have you got here? This is Georgia who was 11 yesterday and this is Lauren. -I think this is quality, Mark. It's very cheeky, it's very Victorian. fully hallmarked which is rather nice. Late Victorian, it should easily do £120, £150. -It's got to, yeah. Are you ready for this, girls? The auctioneer's gonna flog it. Here we go. This is one for Sunday. There you are, lot 705. The silver monkey terminal, 1887. There you are, Jubilee year, yeah. It's Golden Jubilee year, 1887. What shall we say for this one, £100 for the monkey... £100? £50? 60 I'm bid for it. 70 I'm bid. 80. 90 I'm bid. 100 I'm bid. -And 20? 120 I'm bid for it. 130 I'm bid for it. Are you out at 130? The monkey's going. -Bang, the hammer's gone down, £130. I think we'll perhaps go out for a meal, what do you reckon? -Family meal. And a little present, I think. -Along the way, don't you? those two can be cheeky monkeys when they want to be, can't they? we'll find out right now. Gill, a whole brooch full of them. £400. -That'll be nice, wouldn't it? -It would be nice, yes. with some nice diamonds in there but brooches aren't the most fashionable. -into maybe some earrings or a ring. -You could take the floret off and have it mounted into a band which would make a nice ring. You haven't worn this, have you? I've never worn it and it nearly got lost once in the shed, in a box. -It nearly got thrown away. So I thought let's get rid of it. I've had it 40 years. -You've had it 40 years. Everything goes around in circles, fashion changes. Hopefully, it'll start today and somebody will wear this. Now we have a gold and old cut diamond daisy brooch. There we are. Where do we go for this brooch? Do we do 350 for it? 250 I'm bid for it, then. Thank you. 250 I'm bid for it. That's better. He started going in the wrong direction for a minute. 300 this end. At £300. And 10 now, at 300 then, thank you. Going down for £300 then... Thank you. Yes, the hammer's gone down, just. We have a valuation of 300 to 400. -So it's on the reserve there. We were a bit too optimistic, thinking four to four and a half. I'm going to treat my little grandson who's a month old today. Oliver, good old Ollie, yeah. What are you gonna buy him? -to put towards that camper van to do a tour round Europe. A Volkswagen camper van, will it be one with a pop up roof? -Let's hope this Troika vase gets you there. I like it, Troika is a great studio name. It's got quality, it's got everything going for it. -It should really do that. -There's quite a lot of Troika in the sale as well. -So the collectors will be here. We just need a proper job done from our auctioneer, don't we? In traditional Cornish fashion. It's going under the hammer. A Troika wheel vase and that's a nice example. -Are we gonna start at £200 for it? £200, £100 for it... Yes, 100 is bid for this piece of Troika. Thank you. 100 is bid for it. Now, 110. At 110, 120... 130, 140. -160, you're all in a group. 170 now. 170, 180? 180. 190, is it? 190. It's gonna be 200, surely. -At £190. 200, I'm bid. Are you going to be 40? 230, and 40 now. No? 230, sir. -He's doing a proper job. Are you gonna be 20? It's holding its value at £320 and I shall sell it away from you. It's going at 320 then. When you buy your camper van, use it, tour all over Europe. You can resell it and hopefully get your money back. -I'll flog it on Flog It! -Bring it along to one of our Flog Its! We'll sell the camper van. All credit to our experts, they were certainly rocking today! We've had a great time here in Tring and I can't wait to come back. See you next soon for plenty more action on Flog It! Experts Mark Stacey and Kate Bliss scour St Albans for the best in antiques and collectibles. 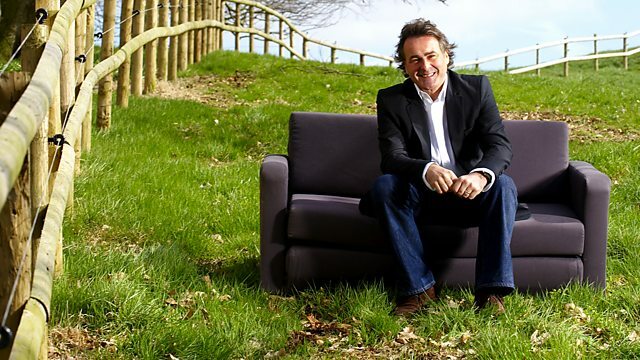 Presenter Paul Martin finds out about the history of the health farm at nearby Champneys.